More often than not, all it takes to apply for a job is send a digital resume and cover letter. Do you ever need a print version? There are two situations when you need to have a paper resume at hand: career fairs and job interviews. Both can be quite critical for your job search. So, just click print, and you’re good to go, right? Anything but. You need special resume paper. 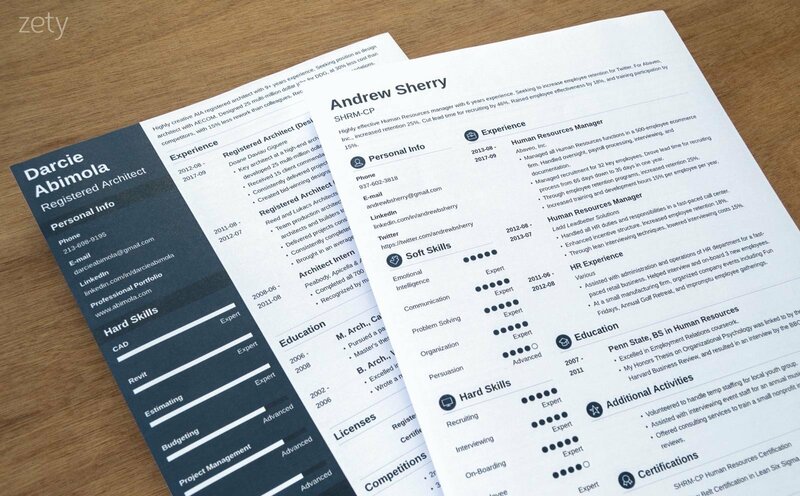 Resume paper is designed specifically to print resumes on. And why is it so important? Because the type of paper you use for your resume is going to make the very first impression on a recruiter or potential employer. 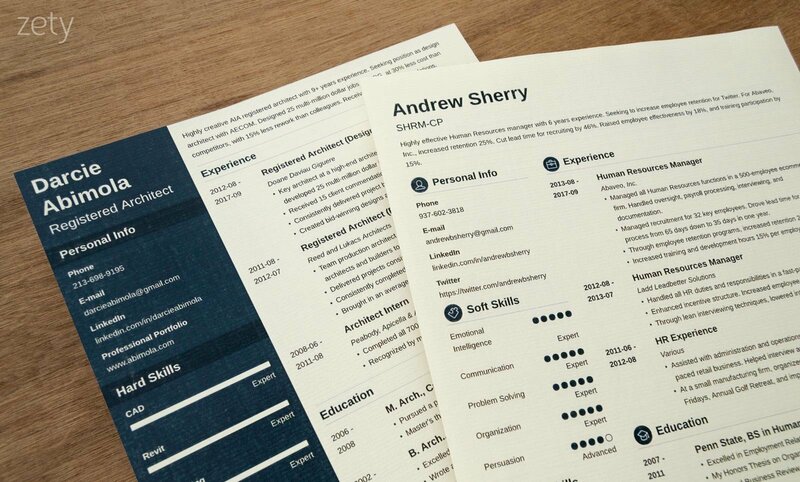 Poor quality resume paper will make you come across schlumpy and slouchy. Who’d like to hire somebody like that? Good resume paper, in turn, will show your professionalism and attention to detail. What’s the best resume paper? 32 lbs, 75-100% cotton is the best resume paper. And we’re feeling absolutely positive about this choice. Ivory, granite resume paper is prettiest and most sophisticated. White, plain resume paper is the safest and the most standard pick. But why would you choose to believe us? Scroll on and see for yourself! 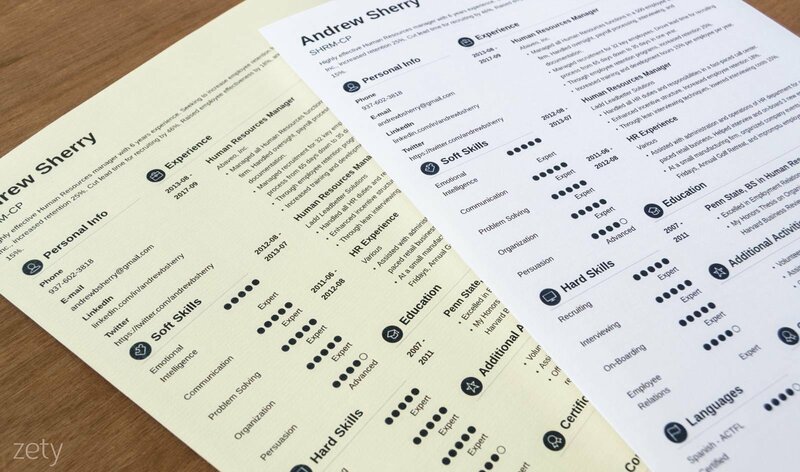 We’ve printed out sample resumes on over ten types of resume stationery to help you choose the type of paper for your resume that fits your tastes and needs! 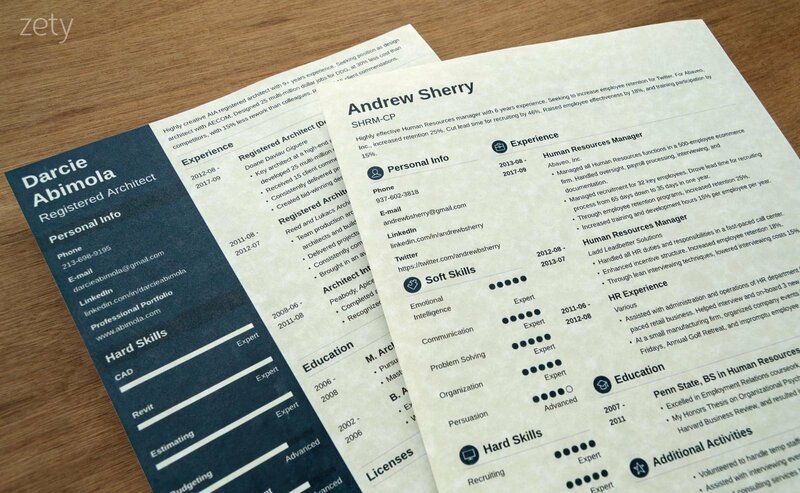 Now, let’s see how different resume paper types will impact the way our resumes look when printed out. Most likely the first dilemma you’ll be facing—white or ivory resume paper? Our “Crisp” template is fairly basic. Not too many graphics, not much color. Printing a simple resume like this one on ivory paper will add a nice, classy touch without risking illegibility. The verdict: it’s a closely fought contest, but we’ll have to give the edge to ivory paper. “Cascade” consists of two contrasting columns. It’s got more color than the previous template, but not much shading. Again, ivory paper looks very professional and can reflect your individuality. If you’ve got a high-quality printer, the dark column will look good on whichever paper color you go for. The verdict: 2:0 for ivory paper. “Cubic,” like “Cascade” uses a side column for showing some information. The difference? The column is light-colored. This subtle grey shading looks better on white resume paper. The verdict: white paper wins in this comparison. If your resume consists of dark, uniform colors and white space only, it will look elegant and classy when printed out on ivory paper. For resumes that use light shades, white paper is the best option. You’ve picked a resume paper color that works best for you. Now you just have to print your resume out on a random sheet of paper in line with your color preferences, right? Usually, you’ll have three options: 20, 24 or 32 lb resume paper. The best resume paper weight choice? 32 lbs. It has the least show-through. It’s also whitest and brightest. Plus, it’s the firmest of the three, thus least likely to crumple. Finally, 32 lbs resume paper has got a really nice feel. There’s simply something special about it. 32 lbs resume paper wins this contest, hands down. Highly recommended for every resume. The next resume paper spec we investigate is texture. Have a look. You’ll be surprised by just how much resume paper texture can vary! 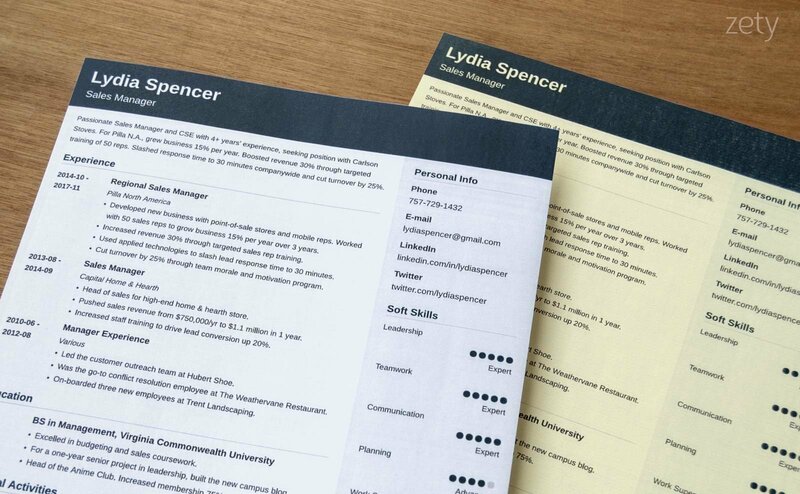 To best show how texture influences the appearance of a resume, we’ve picked two templates—”Crisp” and “Cascade”—for this comparison. Plain paper is always a safe choice. It’s the most common paper texture, used in every office. Parchment paper is all about that Old World elegance. Historically, all crucial documents—certificates, awards, government announcements, or official invitations—have always been written or printed on parchment paper. It’s beautiful. But also somewhat pretentious. Note: the parchment paper we used for this comparison is ivory. Ivory parchment paper might appear greyish, with a green finish at times. Granite resume paper is perfectly balanced between traditional elegance and originality. This resume paper texture will show all graphic elements and text clearly, plus it’s very nice to the touch. Avoid it if your resume has got many dark-colored elements that require a lot of ink or if you don’t have a top-notch printer at hand. 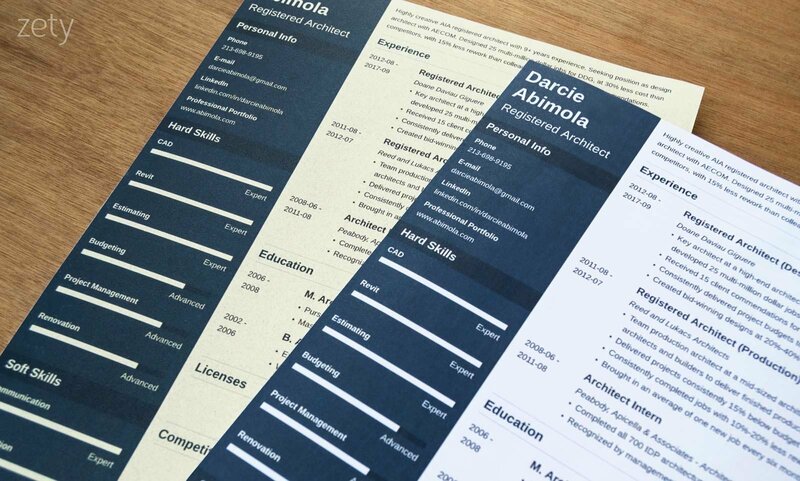 Laid paper, amongst all types of resume paper textures, is most likely to bring about printing errors. Paper quality—cotton paper, as opposed to standard wood pulp paper—is soft yet crisp. And, if you need more arguments in favor of cotton resume paper—it’s extremely sustainable environmentally. As I mentioned earlier on, cotton content gives paper a little bit of texture. In result, as you can see in the picture, cotton paper (on the left) doesn’t reflect light. High cotton content helps enhance the fonts and makes sure colors on the printed resume better reflect original colors of your digital copy. But there’s one more difference you cannot see—once you get to touch cotton paper, you’ll be stunned at how pleasantly soft it is. With all these samples and information, it’s high time we announced our final verdict for the best resume paper, right? What Type of Resume Paper is Best According to Recruiters? This study compared how otherwise identical resumes performed based on what type of layout (formal vs. creative) a given resume had and what paper (white vs. colored) it was printed on. 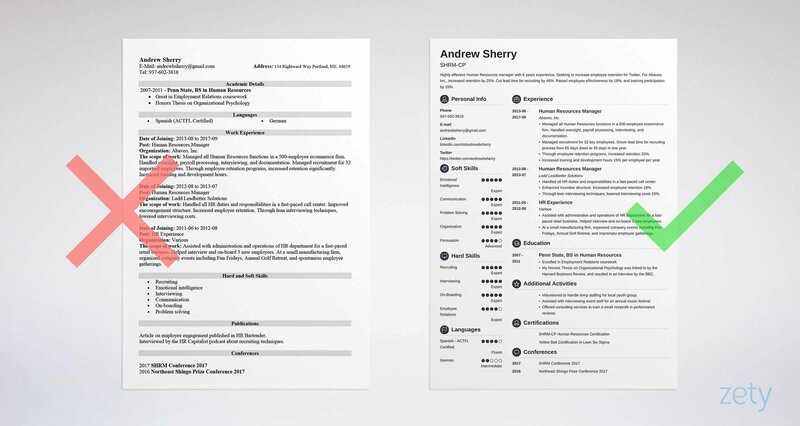 The formal, MS Word resume layout printed out on white paper performed best: 41% of the evaluation group members would accept candidates with this resume appearance. Formal resume printed out on light yellow, light green, or pink paper? Only 32% respondents would accept these candidates, with another 32% automatically rejecting them. Creative resume on white paper was the worst of the three: 42% instant rejections. 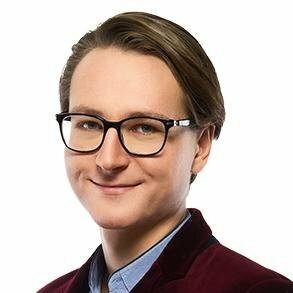 While ivory paper was not included in the study, the message is clear: white paper is the safest choice, unconventional resume paper color will harm your chances of landing a job. Another interesting study has shown that more than 1 in 5 recruiters would reject a candidate whose resume was printed on decorative paper without batting an eyelash. Textured, business paper is fine for a resume. Artistic decorative paper will sabotage your job-seeking efforts. What’s the Best Resume Paper Size? The standard 8.5 x 11in. End of story. If you think that a non-standard resume paper size could make your resume stand out from the pile, you’re half-right. But “stand out,” in this case, would mean “not fit.” And when it doesn’t fit, it gets thrown away. So you’ve learned a lot about the best paper to print a resume on. You’ve got your top pick. Where to Buy Resume Paper? For basic, white resume paper, you can visit your local discount stores like Walmart or Target. If you want fancier resume paper, try professional office supply stores such as Staples or Xero copy stores, for instance, FedEx Office. 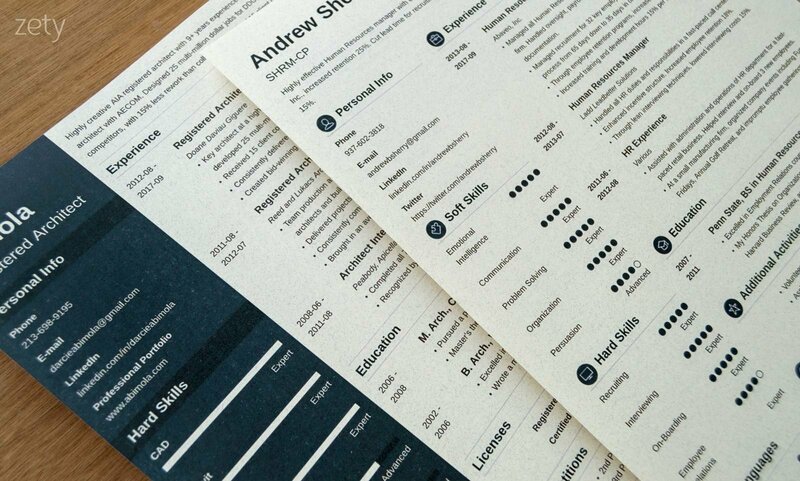 If you’ve already decided what paper you’re going to use for your resume, you can buy it online. Below you’ll find a list of handy links to the best resume paper online stores. As you can see—you’re spoilt for choice. Enjoy, and have fun writing your resume! Does your choice of resume paper make a difference? It sure does. You’ve seen for yourself just how much of a difference. Always remember to have a physical copy of your resume during career fairs and job interviews. 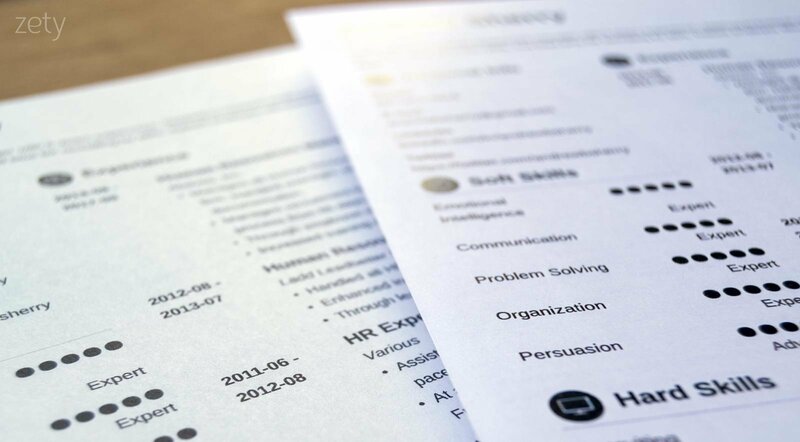 Use nice resume paper to print your resume on, and you’ll make a great first impression on prospective employers. Our suggestion is to use ivory, 32 lbs, granite, 75-100% cotton resume paper or white, 32 lbs, plain, 75-100% cotton resume paper. Feel free to pick a paper type that you like best! Last but not least, remember that while your choice of resume paper matters a lot, it’s the content of your job application that’s most important.